I love this old married couple. They are not in the general population kennel area at City of San Bernardino Animal Control. They are in the medical area, only because they're quite old and need more peaceful surroundings. They are available now (BUT THEY HAVE TO STAY TOGETHER) at City of San Bernardino Animal Control. 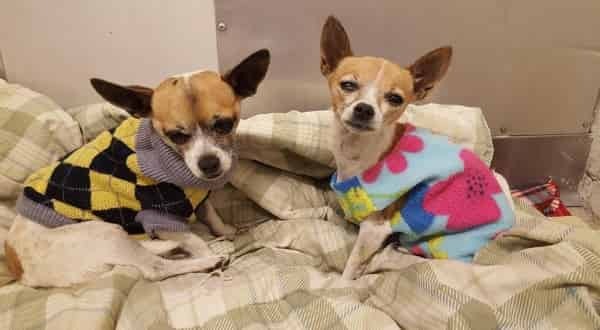 Call Jennifer Van Ness, rescue coordinator, 909/384-1304 if you can adopt this sweet couple and make their golden years truly golden. 0 Response to "Old married couple alone in shelter, and desperately needing help"